hd00:30Hay field. A large amount of hay lying on the field. 4k00:07Beautiful landscape. Agricultural field. Round bundles straw bales in the field. 4k00:09Wheat field after harvest with straw bales. Row of straw bales on the field. Agricultural landscape. 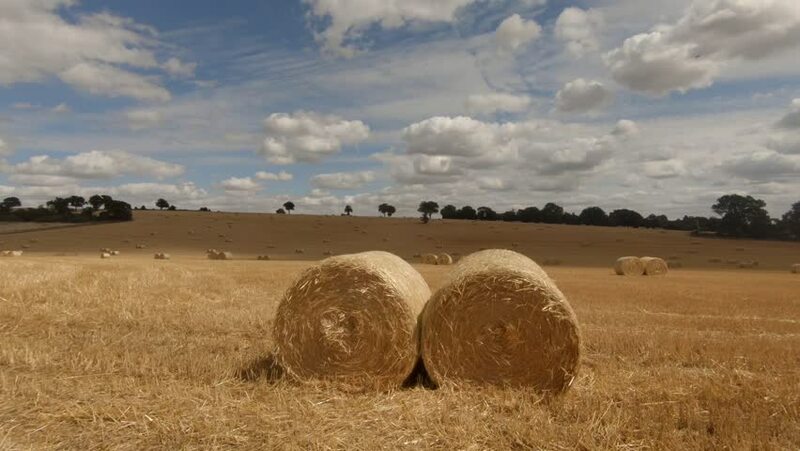 hd00:09Three hay bales in a field. Heat shimmer in the distance. Manitoba, Canada.